The Prince George’s County Police Department’s Homicide Unit is investigating a fatal shooting in Camp Springs. The victim is 29-year-old Franklin Latour Young Jr. of West Village Avenue in Camp Springs. Preliminarily, detectives do not believe this was a random shooting. A reward of up to $25,000 is being offered for information leading to an arrest and indictment in this case. On January 19, 2016, at about 9:30 pm, patrol officers were called to the 4300 block of West Village Avenue for a shooting. When they arrived, they found the victim inside of his apartment suffering from a gunshot wound. He was pronounced dead on the scene. Investigators are working to identify the suspect(s) and motive in this fatal shooting. This evening, detectives will pass out Crime Solvers flyers seeking information in this case. The canvass is scheduled to begin at 7:00 pm in the 4300 block of West Village Avenue. 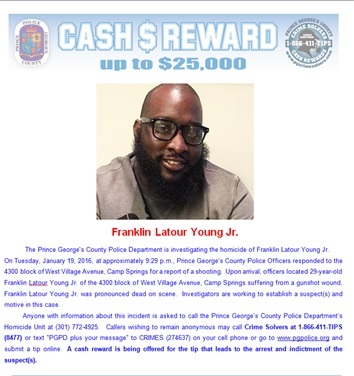 Anyone with information about this case is asked to call the Prince George’s County Police Department’s Homicide Unit at 301-772-4925. Callers wishing to remain anonymous may call Crime Solvers at 1-866-411-TIPS (8477), text “PGPD plus your message” to CRIMES (274637) on your cell phone or go to www.pgcrimesolvers.com and submit a tip online. 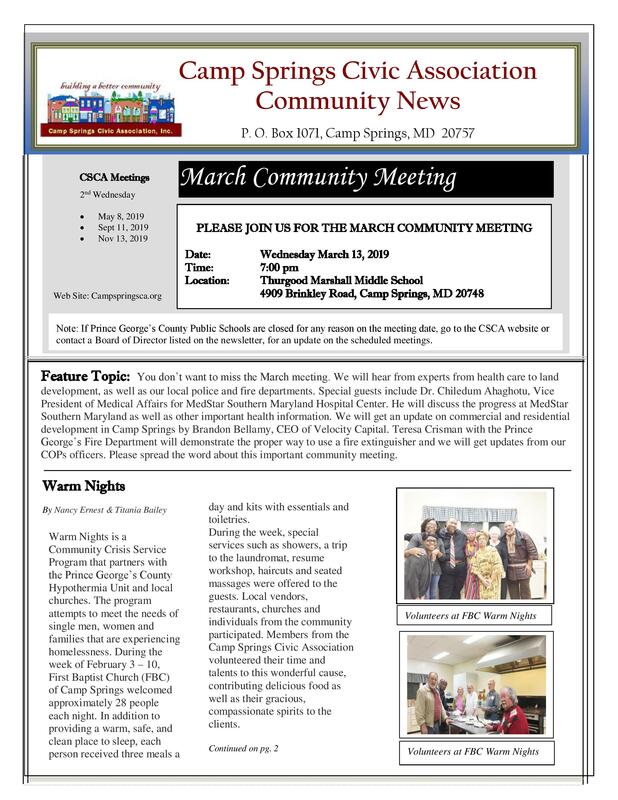 This entry was posted in Camp Springs, Local News, Prince George's County News, Public Safety. Bookmark the permalink.